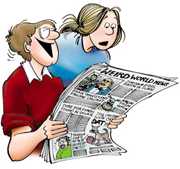 Spring | Holidays | FBorFW Strip Fix For Better or For Worse Comic Strip by Lynn Johnston. This entry was posted in Uncategorized on April 1, 1985 by stripfix. This entry was posted in Uncategorized on March 31, 1986 by stripfix. This entry was posted in Uncategorized on April 4, 1988 by stripfix. This entry was posted in Uncategorized on April 8, 1988 by stripfix. This entry was posted in Uncategorized on April 9, 1988 by stripfix. This entry was posted in Uncategorized on March 18, 1991 by stripfix. This entry was posted in Uncategorized on March 19, 1991 by stripfix. Originally Run: John thinks about the basement leak. Elly sees the grass turning green but John thinks about the storm windows. Days are getting longer and the snow tires need to come off the cars. Elly loves Spring. John thinks about all the work that needs doing. This entry was posted in Uncategorized on March 22, 1991 by stripfix. This entry was posted in Uncategorized on March 22, 1992 by stripfix. This entry was posted in Uncategorized on March 22, 1993 by stripfix. This entry was posted in Uncategorized on March 20, 1994 by stripfix. This entry was posted in Uncategorized on May 1, 1994 by stripfix. This entry was posted in Uncategorized on May 24, 1998 by stripfix. 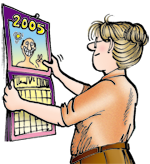 This entry was posted in Uncategorized on April 15, 2000 by stripfix. This entry was posted in Uncategorized on May 19, 2009 by stripfix. This entry was posted in Uncategorized on May 23, 2009 by stripfix. This entry was posted in Uncategorized on June 15, 2009 by stripfix.